Around 1730 hours, Box 501 toned for a working house fire at 402 Swatara Street in the Borough of Steelton. The initial box included companies from Steelton, Highspire, Bressler, Harrisburg City, and Paxtang. Truck 50 (Steelton) arrived on location with heavy smoke showing from a 2.5 story, occupied, end of the row, dwelling. A full first alarm assignment was requested to the scene. The truck crew secured a hydrant and two lines were stretched making an aggressive attack on the fire. 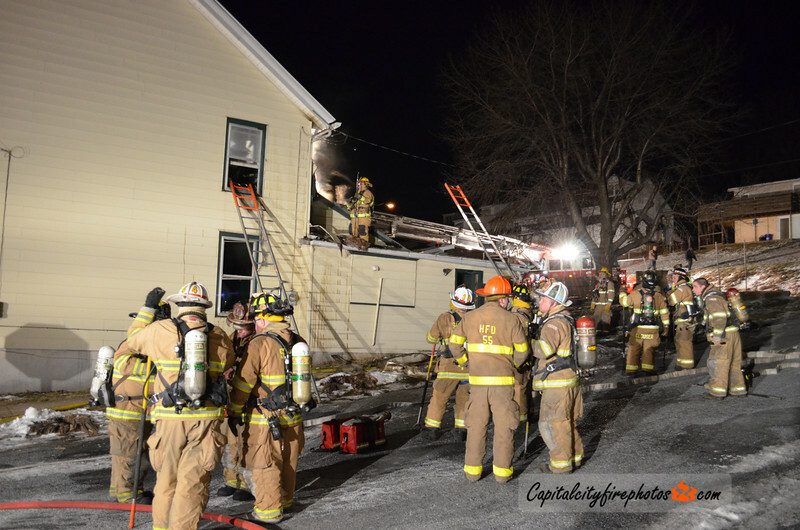 All occupants were reported out of the structure and a primary search proved negative. The main body of fire was quickly knocked down but some fire had extended into the walls. Companies opened up and overhauled the exterior of the second floor rear to fully extinguish the flames. Companies remained on the scene for about 2 hours. Chief 50 (Brubacher) had command.